Separation Equipment Sales, Inc. offers a variety of tiles, gear boxes and replacement parts for Sharples decanters that can help to protect your decanters against wear and tear. All wear-prone areas of the centrifuge — feed zone, solids discharge, bowl and scroll are protected by hard surfacing. 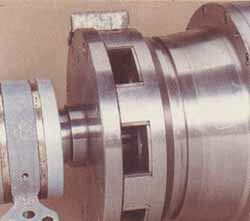 The type of material chosen are to combat the severity of the wear. While composite hard surfacing material like stellite are satisfactory for low and medium abrasive duties, the life of the scroll may be as low as 1000 hours on more arduous materials. 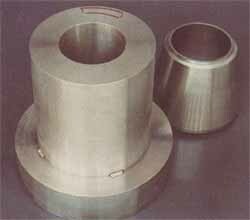 It was for such applications the Pennwalt developed a protection system using sintered tungsten carbide tiles. A major advantage of the Pennwalt system of wear protection is that should any tiles become damaged, up to 20 of them can be replaced, in the need for rebalancing. The Pennwalt tungsten carbide tiling system has enabled Decanter centrifuges to operate trouble-free on abrasive duties which had not previously been possible. Sintered tungsten carbide is up to 50 times more resistant to wear than flame applied hard facing material. Of greater significance is the comparison with most alumina ceramics which have a low abrasion resistance rating. Stressed rotating components are precision machined from centrifugally cast stainless steel. 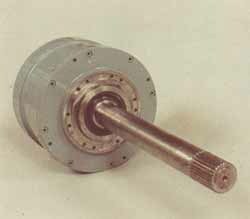 High-strength, high-capacity epicyclical gearbox designed exclusively for Pennwalt. 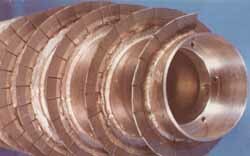 360° solids discharge giving unrestricted solids exit coupled with high capacity. Fully abrasion protection using sintered tungsten carbide shields. Gearbox overload protection either by clutch or torque arm. 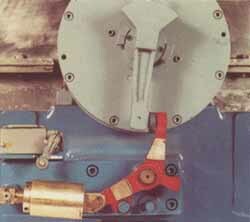 Easily reset without the need for shear pins.